Leading Manufacturer of condensate pump from Ahmedabad. 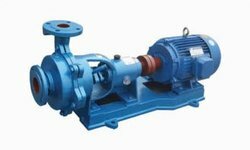 Finding use in pumping condensate in HVAC refrigeration applications, Condensate Pump offered provide for energy efficient operations and find use in handling boiler water in sewage plants, chemical treatment plants and others. Some of its other uses include pumping condensate produced from refrigerated air in cooling & freezing systems, steam in heat exchangers, stream in furnaces and others. Further, these quality condensate pumps also ensure optimum functioning of heating and cooling equipment. We can also offer these with custom configurations as per the specifications provided by the customers.